Winner's Circle Horse Supplies, Saddlebred and Gaited Horse Specialists - Super Comfort Iron Pads 4 1/4"
Regardless of your riding discipline these new pads help keep your feet in the stirrups! 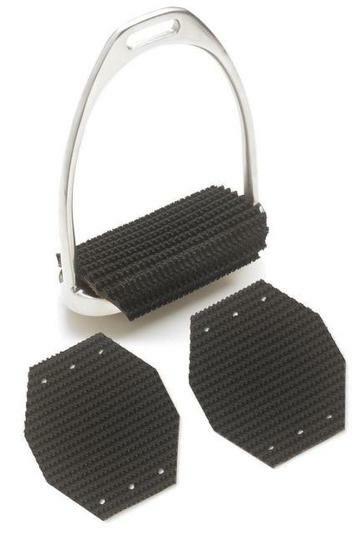 Remove rubber pads or graters from stirrups before attaching. Attaches with zip ties that are included. Available in 4 1/4", 4 1/2" or 4 3/4"